Kristina, the second of four children, begins by telling how a little sip of vodka sipped secretly at a party her parents were giving started her on a pathway to addiction. In that instant, alcohol became her pathway to comfort. Over the next eight years she sinks further into addiction, moving on to cocaine and methamphetamines. In telling her story, she gives a brutally honest description of her addiction and crimes. Adding a heart-wrenching counterpart, to each chapter of the book, Kristina's mother, Connie, gives a parent's picture of what was happening throughout her child's experience. She describes her powerlessness to help her addicted daughter, the breakup of her unhappy marriage, and how she comes to terms with her own codependency. She also describes the worst decision a mother ever has to make: to turn her oldest daughter out of her house, sending her onto the streets, in order to protect herself and her other children. 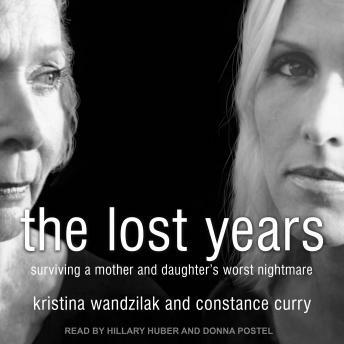 Then follows the remarkable story of Kristina's recovery, her mother's 'tough love,' and the years of acclimating herself to living a normal life. Ultimately, she reclaims herself, her place in her family, and a new and loving relationship with her mother.